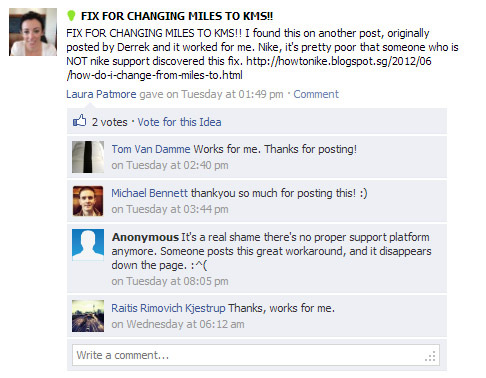 HOW TO NIKE was created to help Nike+ users who are having problems and not having suitable solutions from the Nike support. Having seen massive amount of people still having problems, I've decided to create a blog to solve them - particularly the problem of not able to change from the imperial system to metric. 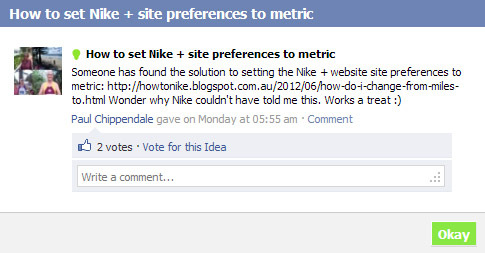 Yes... we will try our best to understand that the Nike support is unable to give "alternative" or "unorthodox" solutions.... And yes... we will try to understand that this is a known issue with the site and our team is currently working to provide consumers with a solution... Well..while Nike is searching for a permanent solution, this site is here to give consumers their temporary fix. 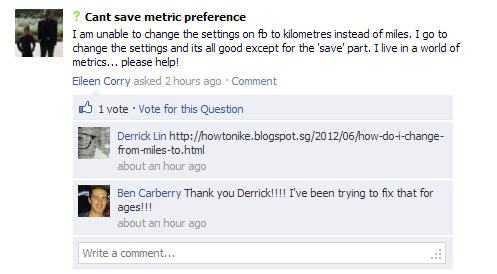 When I share my run on facebook, it is displayed in miles although the site shows all in metric. Not sure about this...though I remember someone mentioning if you share the run manually, it will post in metric. 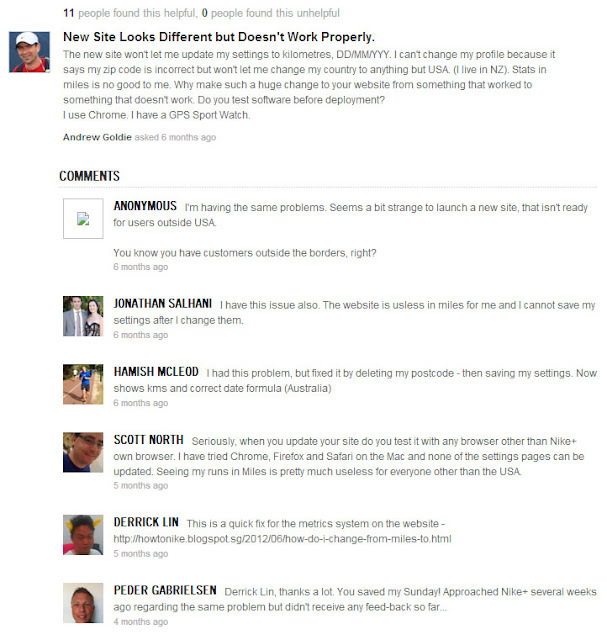 Question: I used your "how to delete a run" - woohoo thanks! but my achievement from that run remains. I did a 57km bike race and used the watch as a timing/gps device... I cannot run 1km in 2min... but according to achievements I can! 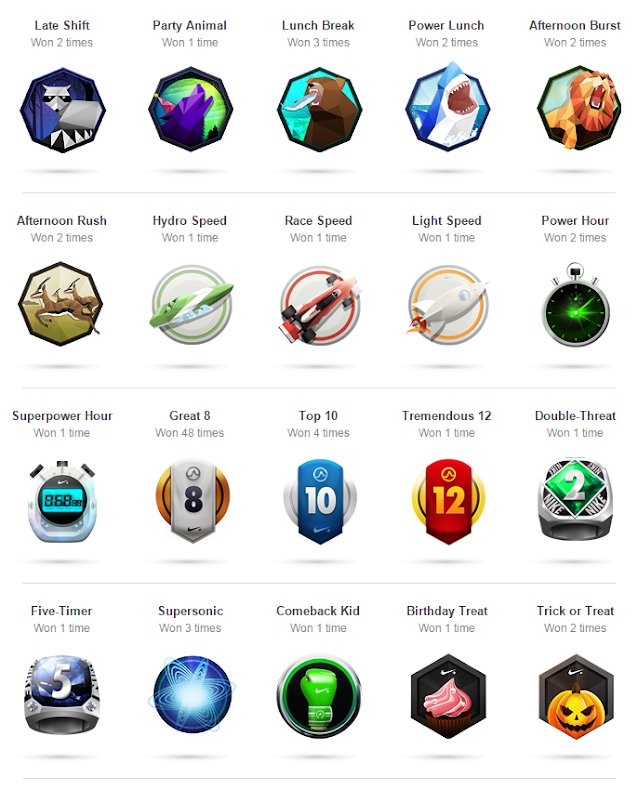 How do you reset achievements? Danke in advance! You'll need to wait for a few more monts until Nike does their scheduled recalculating for the site for the achievements to be reset. Is there any way of changing the day your week starts (from Monday to Sunday) on the new Nike+? I know you could do it on the old one, but I can't for the life of me figure it out! Hi.. does the nike+ sportwatch work in all countries , or just the country you have purchased it in? i am looking to run when i go overseas on vacation and not sure if my watch only works in the UK. Congratulations, I know this site and I really liked it, I give my full support to you to continue working, Nike should know that has many fans and too many problems in your application, hopefully gradually gets better Nike + with the help of all .